Whether it’s dry or sweet, red or white, robust or light, wines always ask for specific serving procedures to achieve its entire flavor and taste. Though the proper preserving and serving temperatures play a huge role in wine’s flavors, I’m not talking about them now (as actually, I’ve already discussed about it here). Instead, I’m more interested in the wine glasses. Have you ever felt that wines taste differently when drinking in different types of glasses? Good news is, it’s not your imagination. There’s even a piece of scientific evidence about the huge impact of glass types on wine’s taste. Or, visiting a wine aficionado and you’ll find how diverse their world of wine glasses is like. It’s not exaggerating that even the single tiny detail of a glass can make a great influence on how you “feel” the wine. For example, how thin of the glass rim decides how much distraction it make from the wine as you sip. That’s why I’m here to give you an ultimate guide on how to choose the most suitable glasses for your wines. And, if you are interested in this issue, like how to taste it like a connoisseurship, I’m going to include at the end of this article. Read on! As mentioned above, the importance of wine glass shape is proved by a piece of scientific evidence. Detailly, it is a study of a Japanese medical group conducted in 2015. They utilize a specialize camera to record ethanol images vapored in different wine glasses, presenting the different effects on the position as well as the density of vapors at their openings. Now, why do vapors matter? Great question! The density of vapors decides how much aromatic compounds (which take responsibility for producing the huge majority of wine flavors) they carry into your nose. But, why are there so many types of glasses? You will see it’s myriad, right? 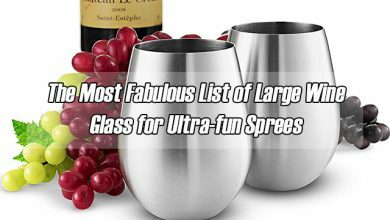 However, they are not designed just for aesthetics or décor for your home wine bar, but also serve for tasting certain types of wine fully. By the way, I got asked a lot about whether choosing a stemmed or stemless glass is better. My answer is it doesn’t a matter at all. What influence on how tasty of certain wines depend on the shape of the vessel collecting wine’s aromas and deposits it into your mouth. The rim plays an important role in how achieved your experience from the wines. There’s a basic rule of thumb – the thinner the glass rim, the less distraction of the wine glass from the wines when sipping it. The feature to realize whether that wine glass is good or not is its smooth cut rim to touch while not inhibiting the wine flowing out of the glass. Such good wine glass will usually come up with high price. However, with the lower-range ones, though its rim is either bumpy or rolled which distracts from the wine a little, they are still useful and practical for daily use. 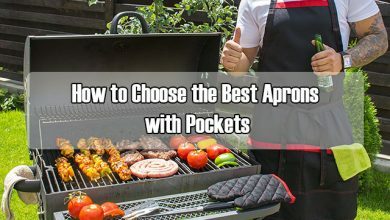 The bowl – this is the most functional part as it serves a countless of uses. Again, let’s take a look at the above picture, you can see that apart from difference in height, these wine glasses also come in different shape of glass bowl. But in general, it’s tapered upward and the opening at the top is a little bit narrower than at the bottom. It takes the role of capturing and distributing aromas of the wines toward your nose and mouth, meanwhile, delivering a reasonable amount of surface area to let the wines breathe. Amongst three popular types of wines – reds, whites and champagnes – red wine needs the largest amount of surface are, next is the whites and lastly, champagne. 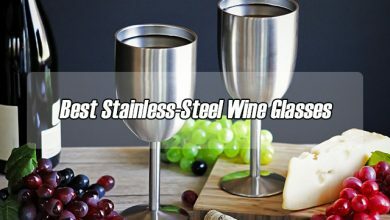 The stem, you will need this part of the wine glass to hold it without letting your heat warm the wines nor making smudges on the glass bowl that will distract from the vision to enjoy the wines. Lastly, the foot helps the wine glass itself stand upright. Crystal and glass – what’s the difference? Well, it’s all determined with the lead content of glass. Adding lead to the glass, it’s softened in crystal to easily engrave or cut. However, in turns, it effects on the glass weight to cause diffract light. In comparison to the traditional wine glass, these crystals are much heavier than with high light diffraction through them. 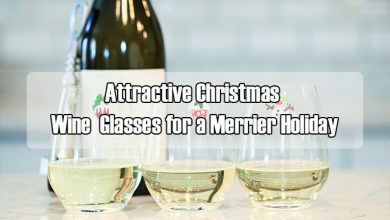 However, the biggest weakness of the traditional lead wine glasses is its lead content tends to leach out of the crystal. But luckily, nowadays’ models have overcome this feature by altering the lead ingredient by titanium oxides, zinc and barium carbonate. 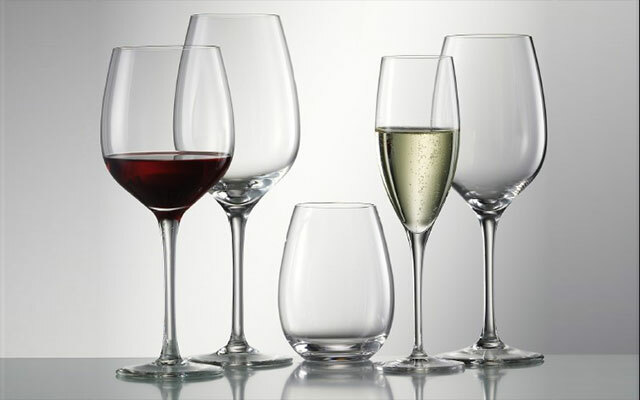 Aside from preventing the lead leaching out of the crystal, they still keep the same properties as the lead glassware, like the ability to bold the flavors and aroma of wines, the refractive index as well as the temperature control. Besides, they are much lighter. Sound too good to be true, right? But, not quite! These modern wine glasses are really fragile, which is rather risky to replace them usually. But another bad news is their price, it’s expensive enough to prevent many from buying them. Crystal and colored wine glasses, each of which shows different beauty. One offers an accentuated appearance whereas the other represents the subtleties and beauty of the wines. It’s all up to you! 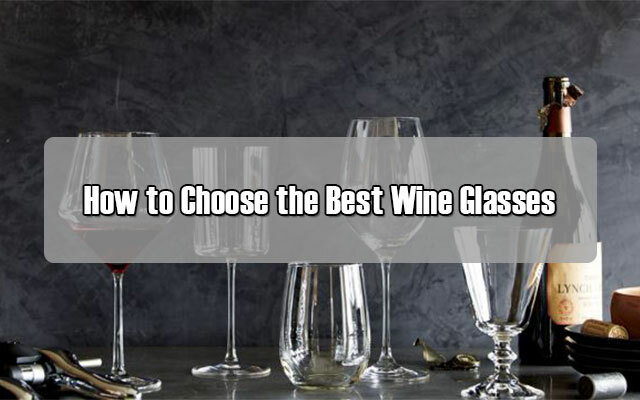 Truth to say, which types of wine glasses depend on the types of wine you’re going to sip. They are made from either white (green-colored) or black (red-colored) grapes that are removed skin before fermented and usually, combined with spicy flavors and citrus. Whites taste the best when served cold, with light foods for examples fish and poultry. 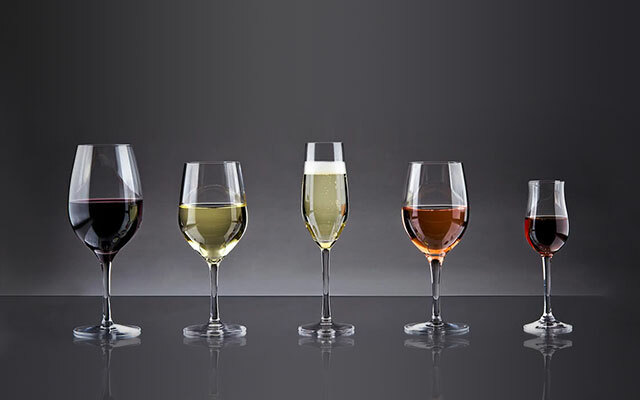 The most ideal wine glasses for whites should come in U shape with upright silhouette to release the wine’s aromas while also remaining its cool temperature. Whites are divided into young and mature wines. 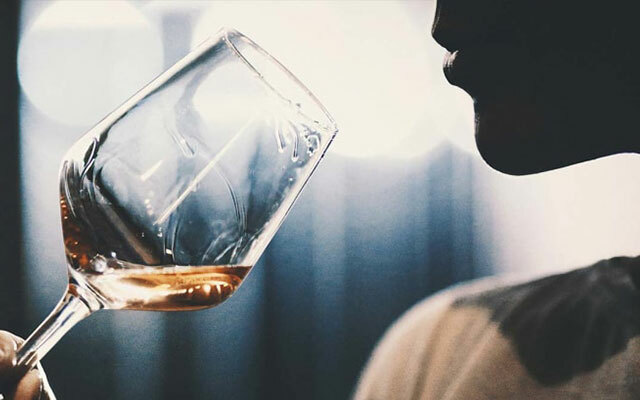 With the younger like oak-aged White Rioja, Viognier, Chardonnay, and orange wines, the best bet is a glass with a bit wider opening leading the wine to the sides and tip of your tongue to feel its sweet taste. On the contrary, go for the taller and straighter to express more acidity in wine and direct the wine to the sides and back of your tongue to taste its bolder flavors. Reds, on the other hand, are made from black (red-colored) grapes that are kept the skin during the fermenting process. It’s also the main element making the red color of the wine. Compared to the whites, reds come in more robust aroma to pair perfectly with those similarly robust foods such as lamb, beef or hearty pasta dishes. 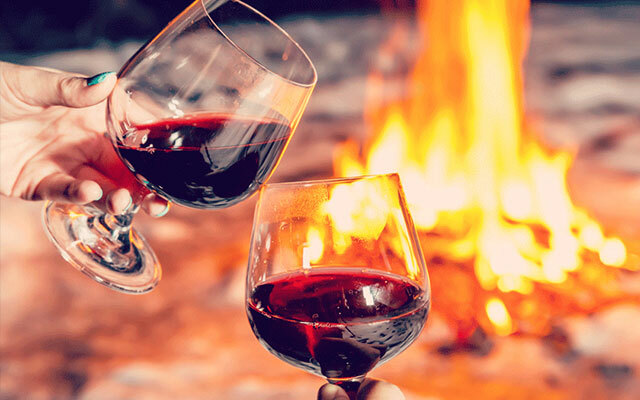 Red wines are best to drink below room temperature. But you can totally drink it at room temperature based on personal preference. And, it tends to taste smoother in a large wine glasses with rounder and fuller bowl. The distance to the wine will affect what you’re going to smell. Take note that such bowl shape is imperative due to the complex flavors and aromas of reds require a larger surface area of a wine glass to make sure the actual fluid contacts with some more air. The standard is perfect for medium to full bodied reds with high alcohol or spicy notes. You should try Malbec, Zinfandel, Petite Sirah, and Syrah (Shiraz) with it because the spice is softened greatly due to the hit of wine’s flavors to your tongue more progressively from the narrower opening. The large Bordeaux glass is great to taste with Cabernet Franc, Bordeaux Blends, Cabernet Sauvignon, Alicante Bouschet and other bolder reds. Such this type of red wine glass provides larger surface area to help the ethanol evaporate, making the actual fluid taste smoother. Another benefit of these large Bordeaux glasses is they keep the burn of ethanol away from your nose while boosting the wine’s aroma compounds more. Last up is aroma collector Bourgogne glass, which is best for more delicate and lighter wines with sophisticated aromas. The secret to collecting all wine’s aromas of this type of glass is its huge round bowl. With this, I highly recommend using the Schiava, Gamay, Nebbiolo, Pinot Noir, Zweigelt, Freisa, St. Laurent, and Valpolicella blends. Two main kinds of specialty wine glasses are the stemless and the all-purpose. Speaking of the stemless, it comes up with the same bowl styles and shapes as the traditional stemmed glass, but the advance is it limit the risk of breakage while deliver a perfect compromise of bringing all functions and modern outer performance. Though it’s riskier to warm the wine faster than the traditional stemmed model, it’s worth because of their contemporary appearance. And, thanks to the elimination of stem, it requires less maintenance to give you more free time on hands. 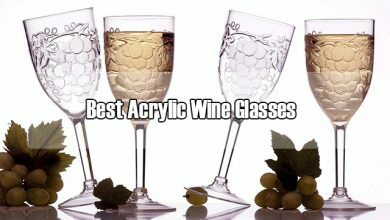 About the all-purpose wine glasses, it’s best for those who are looking for a single glass type. Though the experience to the wine they give you might not be the same as the proper glass type, they deliver the same function at a more affordable price while upending efficiency. Its bowl is quite unique, which is a combination between the traditional red bowl and the white’s to make the glass itself acceptable to use with both wine type. Using the black (red-colored) grapes, fermented with skin but just in a couple of first hours in the process, what you will receive at the end is a rose wine with blush-colored or pink. Or, sometimes, the mixture between the whites and reds also releases such that lovely color. Speaking of the taste, while the European rose wines are very dry, the US are medium sweet. Two best glasses to drink with rose wines are the one with slightly flared lip and short bowl, and the stemmed glass with slight taper and short bowl. Sometimes, people use white wine glass for rose wine. This is acceptable due to the fair similarity in fermentation process of both of them. Like the whites, rose white comes in two kinds: the younger and the mature. With younger rose wine, choose the glass with a bit flared lip to allow the fluid to run out of the bowl and direct to the tip of your tongue to taste its sweetness. On the other hand, the mature rose wine is perfect to drink in a glass with a light taper and short, rounded bowl at the bottom. As its name implied, this type of wine is best to serve with dessert due to its sweetness. Be aware that there is a myriad of dessert wines on the market but to the most basic rule of thumb, remember this: The fluid must be sweeter than the foods. On the other hand, fortified wines are blended with a liquor which mostly is the distilled wine to release a higher alcohol content with unique flavor compared to the normal wines. The ideal glass to serve with dessert or fortified wine glass is the one with narrower opening to lead the wine to the back of your tongue to boost its sweetness to the best. Dessert wines, in particularly, usually come up with higher alcohol content to pair well with small serving. With cordial and sherry glasses, use the same rule of thumb. Some manufacturers specialized in wine glass such as Gabriel Glas and Zalto offer the universal glass that is a perfect option to save your home mini wine bar space thanks to its multifunction. If you have a cramped kitchen, this is even the better idea because you don’t need to buy a bunch of different wine glasses anymore. This type of glass delivers many sparkles caused from the bubbles of carbon dioxide to release a hint of luxury. To get full experience with sparkling wine, a champagne flute or a sparkling wine glass is a thumb-up. It’s smaller than other glasses with upright silhouette to keep the carbonation while capturing its flavor in the beverage. Now, which type of wine glass should I choose? Do you wash your dishes after meal? Do you usually wash your special kitchen appliances, like knife, by hands? Do you have safe space that’s out of reach of your kids? Do you have space for tall wine glass storage? Do you feel please to clean and organize your bathroom or kitchen? Do you like drinking a glass of wine every night? If your answers are mostly “No”, have a crystal stemware in your house will drive you crazy. 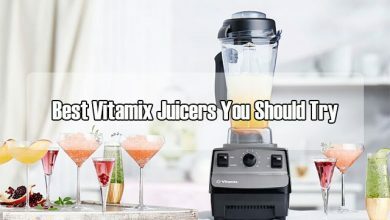 The better option is either a stemless crystal or glassware glasses because they are much easier to maintain while not giving you a conniption if breakage. Moreover, you can toss it in dishwasher. If your answers are mostly “Yes”, invest on a good crystal wine glassware. Ideally, dive in a set of 6 matching units, I’m sure that you’ll use them for years. I thought it was cool to learn that the type of wine glass can actually play a big part in the taste of wine. You mentioned that this was because the type of opening on the glass determines how much vapor is released which can change the taste of the wine. This is definitely something I’ll keep in mind since I’m looking at adding a wine cellar to my home and would need plenty of glasses.